Go to Web Site: AR S.p.a. | Expom s.r.l. Expom S.r.l. 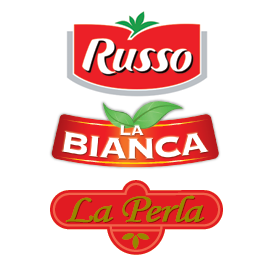 was founded in 2007 through the initiative of Walter Russo, the youngest member of the generation destined to continue the activity of their father Antonino, founder, over half a century ago, of the AR Industrie Alimentari SPA, a world leader in the food preserves sector. Expom operates in a historical plant for tomato processing, which was already the property of the Russo family, located in Scafati in the midst of the Nocera-Sarna countryside , land of origin of the San Marzano tomato. The completely modernised plant produces a very high quality product at competitive prices, through the capability of the entrepreneur who has known how to unite the traditional know-how that has been handed down through the family with a modern and efficient vision of company management. In a time when many move away in the search for territories and productions more economically convenient, Expom is a rare example of a person who, without abandoning his area of origin, his noble productions and his know-how, is able to attain success on the domestic and foreign market, able after only five years to confront on an equal basis the most important producers in the sector. Expom offers three categories of products, all obtained with whole fresh tomatoes of Italian origin; peeled tomatoes, tomato purée and tomato pulp. In 2011 the production of concentrated paste was started , which is obtained from the tomato juice. With the recent outfitting of a special processing line the production of tinned pulses will soon be added to the productions already described. in film da imballaggio con immaginabili positive conseguenze sull’impatto ambientale.